I love how Andy Stanley puts one oft-overlooked aspect of leadership. Leadership is a stewardship, it’s temporary, and you’re accountable. Before we take on a leadership role, we realize that leadership isn’t permanent. Leadership is something that flows from one leader to another. Until we embrace the mantel of leadership. Then we want to hold onto our title. But we can’t. We can’t continue to lead when it’s no longer our time. The trouble comes in telling when it’s time to lay aside our leadership position and move on. I do believe there are cues we can be watching for. These will gently, and sometimes not so gently, tell us we need to move on from our current leadership role. You feel indifferent – Leadership is about caring for those you lead. It’s about being concerned for the direction of the organization. When you begin to feel indifferent about these areas of leadership, it’s time to check yourself. Look and see why you’re feeling this indifference towards those you lead. And if it’s time to hit the road. You find yourself neglecting your family – You’re leading your family, first and foremost. They should be your priority. You made a promise to your wife. You said you’d be there. Check to see if you’re honoring this commitment. See that you’re not? Consider shifting your priorities and taking care of what really matters. You like the title – Leadership has it’s perks. You get to show people the way to go. You also get a swanky title. This title can go to our heads. We begin to feel like we’re more than we are. These feelings can be the sign that you’re not ready for leadership. Is this the cue you need to move on? 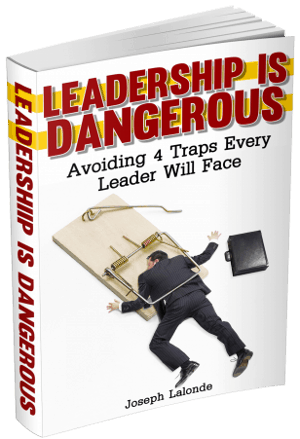 You are holding others back – Like Andy Stanley said, leadership is temporary. One of those reasons it’s a brief blip in our lives is because we’re supposed to be training up other leaders. These leaders will eventually take our place. If we’re holding on too tight, we’re holding others back. Let go of the reigns and let those you trained up take over. You no longer joy in what you’re doing – You won’t always feel joy while leading. However, you should feel excitement and joy frequently while leading. These feelings are letting you know that you’re in your sweet spot. When the feelings begin to fade for extended periods of time, this could be a cue that you need to move on. You have done what you set out to accomplish – Sometimes leadership is for a specific purpose. You have the skills and an organization needs you because you can get the job done. Once you finish the job, re-evaluate your position. Should you stay or should you go? You hear God telling you to move on – This was our cue that it was time to move on from our position of leadership. God spoke softly, at first. Then, as we ignored his push, He began to speak louder and louder. If we fail to heed the other cues that it’s time to leave, God will speak loud and clear to you. Listen and move on. It’s not worth fighting God over. Question: Have you left a leadership position? What was one of the cues for you? Let’s talk about this in the comment section below.